Product prices and availability are accurate as of 2019-04-20 15:18:59 UTC and are subject to change. Any price and availability information displayed on http://www.amazon.com/ at the time of purchase will apply to the purchase of this product. 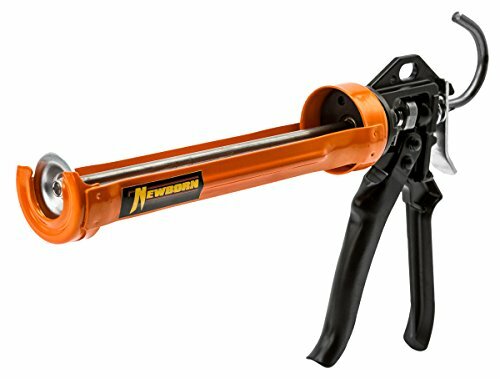 The Newborn 150 Smooth Rod Revolving Frame caulking gun has a steel revolving frame that fits 1/10-gal. cartridges and has a 12:1 thrust ratio for use with low and medium viscosity materials such as latex and silicone. The revolving frame allows the barrel to rotate for maintaining the same bead orientation when caulking around corners. The pressure rod is heat-treated to be longer lasting than standard pressure rods. The hook on the back allows it to hang on a ladder.